To be completely honest, it’s not easy writing about rain jackets. Every outdoor supplies company has one or more in their range, and they all look about the same at first. So what separates the Beta AR from the competitors? How is it better, or worse? 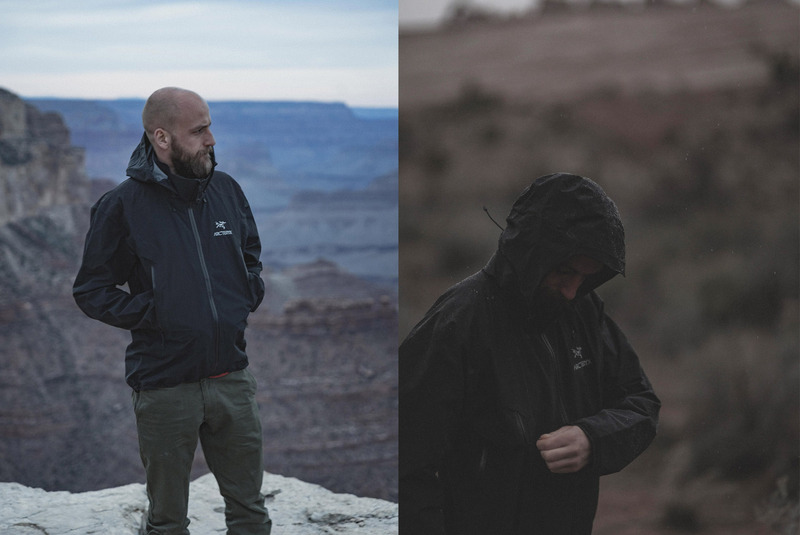 There’s no better time to test a rain jacket then in a capricious spring. The constant fluctuation between sun, wind and rain can be quite demanding, and not just on your patience. You also need the right clothing that will stand with you through these unsettled months. What many rain jackets ignore is how the jacket performs when it’s not raining. 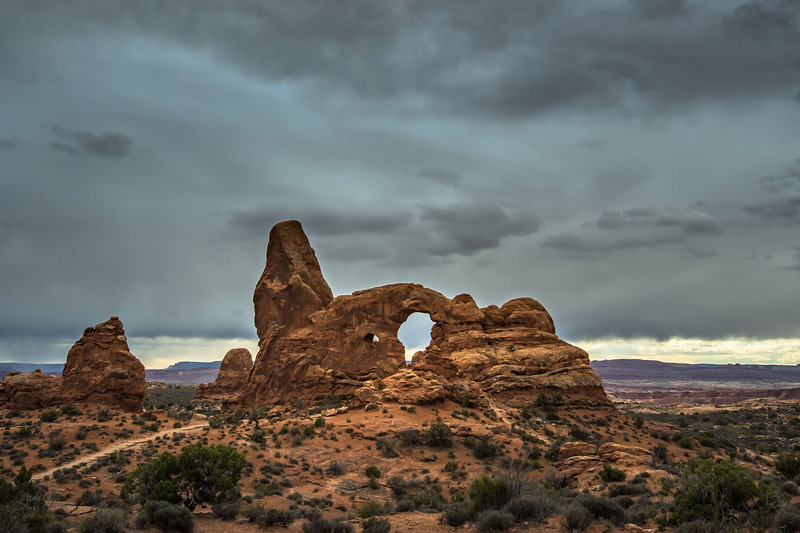 When you’re out hiking or camping, you rarely have the room to take multiple jackets and switch according to the weather. 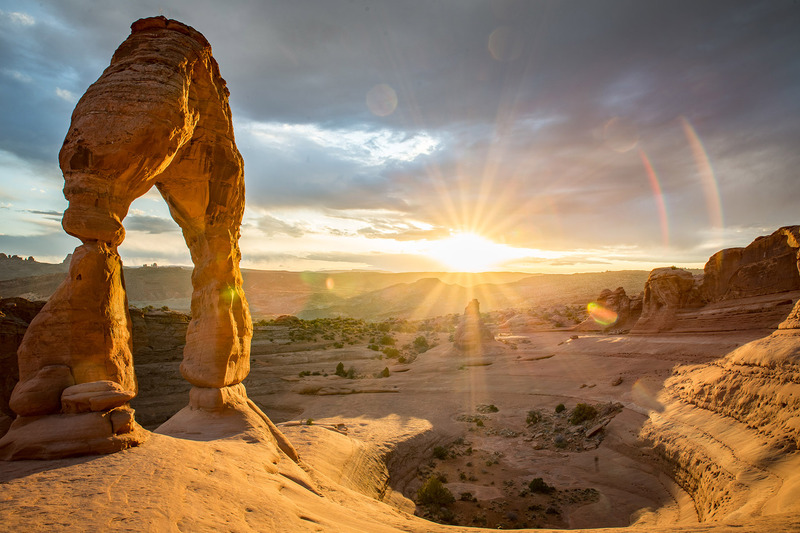 As I learnt first-hand on my trip to the Grand Canyon and Arches National Park. 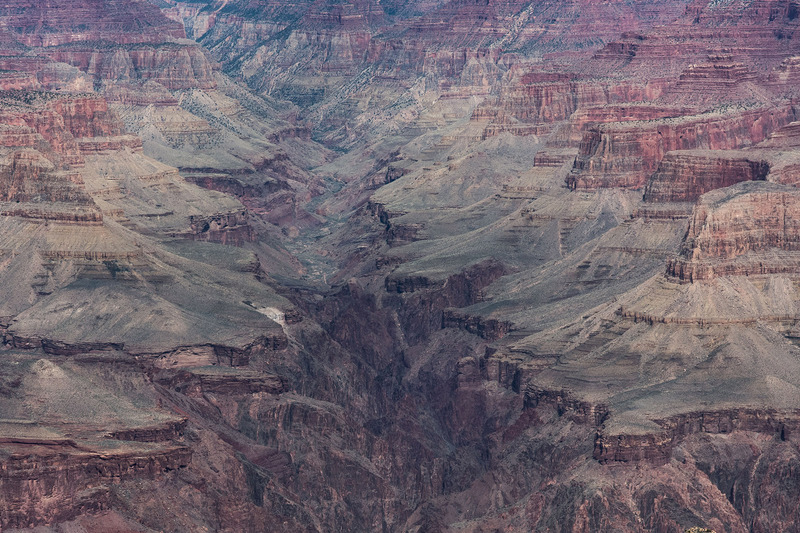 When people think of the Grand Canyon, they mostly think of the dusty, dry, sandy ground and the merciless sunshine. I never knew that even on hot days there can still be sudden rain showers and at night, frost. Seeing as I was loaded to the brim with camera and camping equipment and had to get the most out of every gram I was carrying, I decided to take just one jacket. 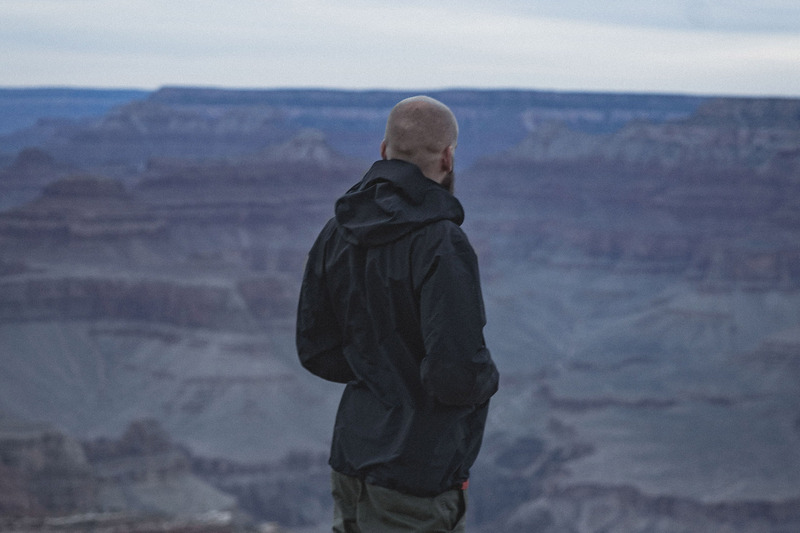 But it had to be a jacket that could handle everything including inclement weather and variable temperatures, a jacket that I could rely on 100%, a jacket that could be packed away small and easily in the depth of my backpack. About six months ago I reviewed the Lithic Gloves from Arc’teryx and was thoroughly impressed by their superb quality and performance, so it makes sense that my search for the right jacket for my trip took me back to Arc’teryx, to the Beta AR. Small pack size, extremely light, and, thanks to Gore-Tex Pro, breathable and of course 100% waterproof. On my trip I did a lot of walking cross-country with backpack. For my photos, sometimes I had to do some climbing to get that special shot, or get down on stony ground for a better angle. It’s unbelievable what the Beta AR can take. I was especially impressed with the ergonomic and athletic fit which kept pace effortlessly with the many artistic contortions I had to undergo to get the perfect shots. 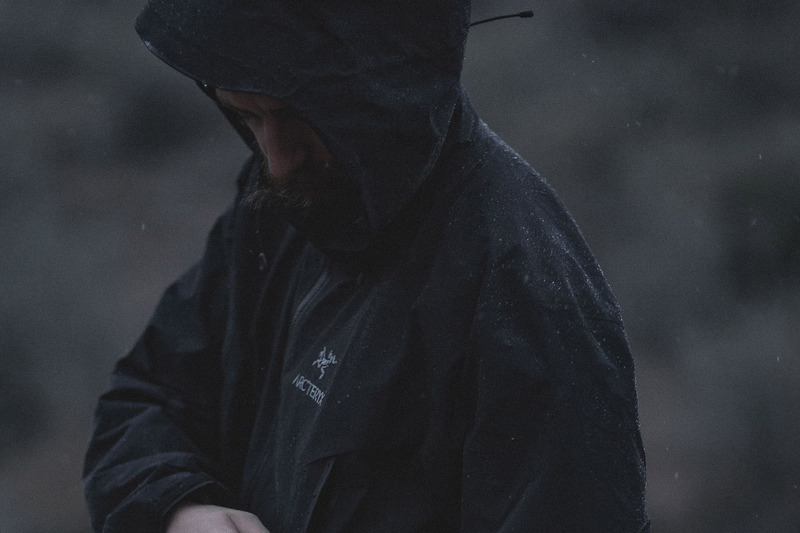 Arc’teryx even has a name for this design: e3D™ patterning. Might sound like a droid from Star Wars but it’s not science fiction; it’s a massive help to your freedom of movement. And if it does get too active, the generous no-lift gusseted underarms offer the perfect ventilation without overcooling the body. I found the two large hand pockets particularly useful as somewhere to quickly put a camera lens, or for carrying snacks or maps and things. And they’re easily reachable even when wearing a backpack. As you would expect, the pockets have waterproof zippers, plus there are zipper garages at the top for additional protection from the rain. The hood is, of course, crucial to a waterproof jacket. Here, the most important factor is a cut that sits comfortably and allows the wearer to adjust for an individual fit. 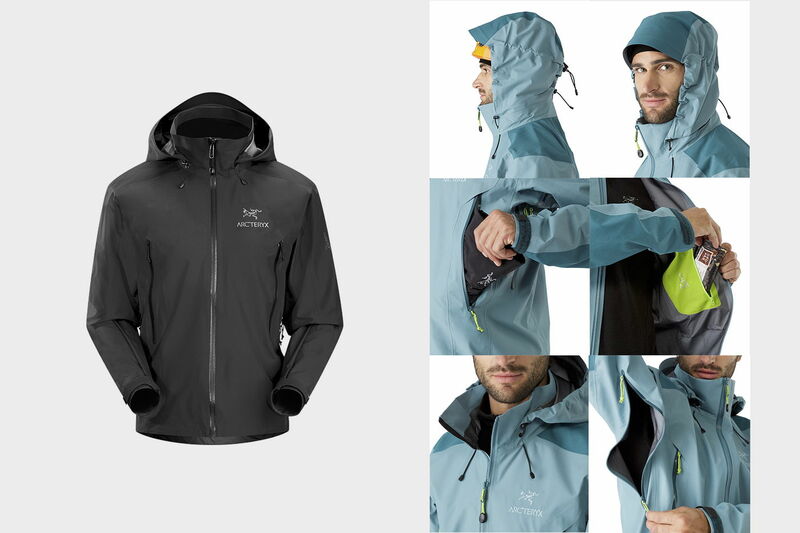 Arc’teryx has even go so far as to make the height of the hood adjustable to allow people such as climbers, skiers or cyclists to wear a helmet under the hood. When you’re not wearing a helmet, the drawstring cords allow you to fold the sides together so that the hood always sits nicely about the head without flapping around or blocking your sight when turning your head. 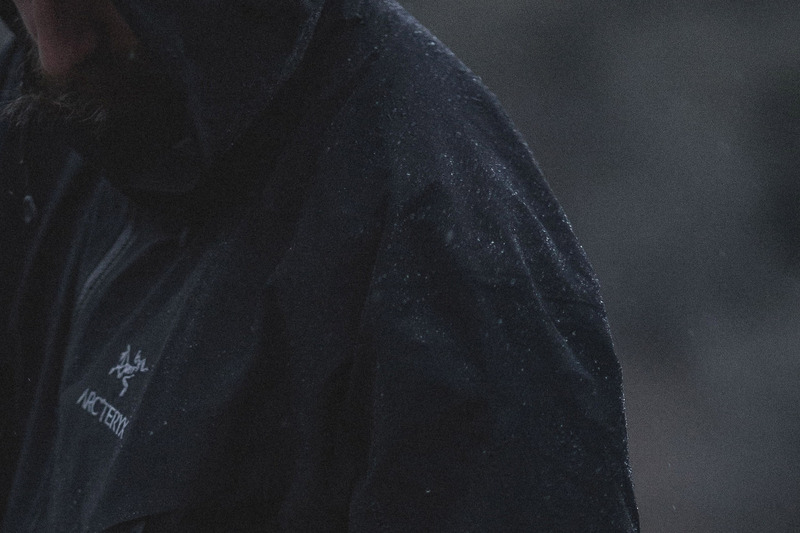 It’s not only in these details that you can notice the years of experience Arc’teryx has collected in the outdoor clothing market and invest in every product they make. There is the feeling that every aspect of their products is revised and improved over and over until they are perfect. Conclusion: Some people think a rain jacket is only there to keep off the rain. But the Beta AR from Arc’teryx can do so much more. My personal highlight is the ergonomic fit. I simply feel an all-round comfort in this jacket. Whether climbing about or just trekking with a loaded backpack, the Beta AR sits like a second skin, moves with me, and is so light I hardly notice I’m wearing it. The waterproof aspect is superb, but I wouldn’t have expected any less. The Beta AR is quite simply an ideal all-rounder, and not just in rainy conditions. Because, as everyone knows, after the rain comes the sun.